A slack for the X-Wing Miniatures Game community. Join us to chat about list building, battle reports, the latest announcements and everything else related to tiny plastic spaceships. We even have a cool bot that helps us discuss squadron lists! The MUD Coders Guild is a community for people with a passion for creating text-based games. The best games are made together. If you're working on development, want to ask our teachers questions, are interested in learning about the space and program, or just want to get into making games, this is your place. This slack community is for anyone interested in the business side of esports from careers, to professional development, and even player development. Original PICO-8 Slack team ! Next Reality is the leading Augmented and Virtual reality Slack community with over 2,000 members. Learn, discover, inspire. Our Slack community is for people who not only love the world of Megaman Battle Network, but want to work on making it a reality. Discuss the EA Star Wars Battlefront game, including announcements, news, stream plugs, gamer tag sharing, and other discussion. The GamerAssembly is a group of new and old fans of tabletop rpgs, people making fun of each other, and generally enjoying reach other's company. Anything vintage/retro commodore, and amiga especially. Tyfaresse is a roleplaying and worldbuilding future fantasy game. Channel where WOT can be talked about, get help, etc..
A Slack community for Game Developers of all kinds. 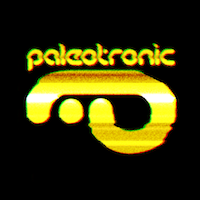 Paleotronic is your retro-technology destination, celebrating retro-gaming, vintage computing, electronics and more! Game developer community for people looking to connect with industry friends.